Green tea is one of the most revered beverages in Asian countries. This true tea is an essential component of traditional medicine and is increasingly the center of new health research. Green Tea has many health benefits including weight loss acceleration and potential cancer prevention. It is also one of the few sources of the amino acid l-theanine which may help to improve sleep and deliver additional benefits. Tulsi Green Tea : Tulsi Green Tea is one of the best super foods available to us and it is extremely rich in Vitamin A, C and K, calcium and zinc. Tulsi is best for treating and reversing a lot of diseases and disorders like bronchitis, Malaria, diarrhea, nausea, vomiting among others. This is sure the one drink to cure it all! It is a quick remedy and ointment for eczema. It is also helpful for treating stomach ulcers and eye diseases. Many people also use it as a home remedy for treating acne. Mint Green Tea : A blend of mint with green tea has many health benefits including boosting immunity, relieving stress and headaches, ensuring focus, fighting inflammation, clearing skin and supporting healthy digestion. 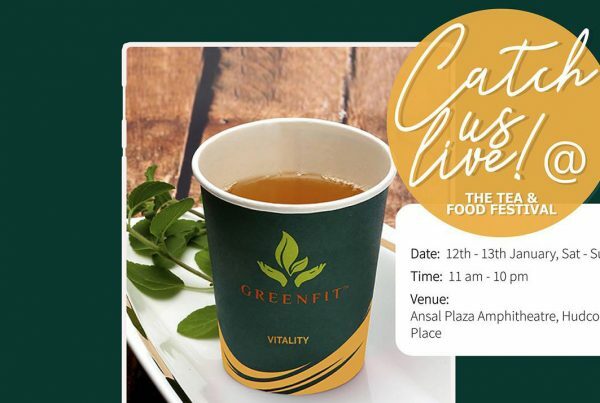 GreenFit Mint green tea increases the body metabolism, helps in burning the calories and cutting down the body fat. Good news for all you weight-conscious freaks out there! One of the major health benefits of mint is that it balances the body’s Ph levels and is an excellent remedy for bloating and water retention as it enhances the blood flow. So, begin your day on a healthy note with a refreshing scent! 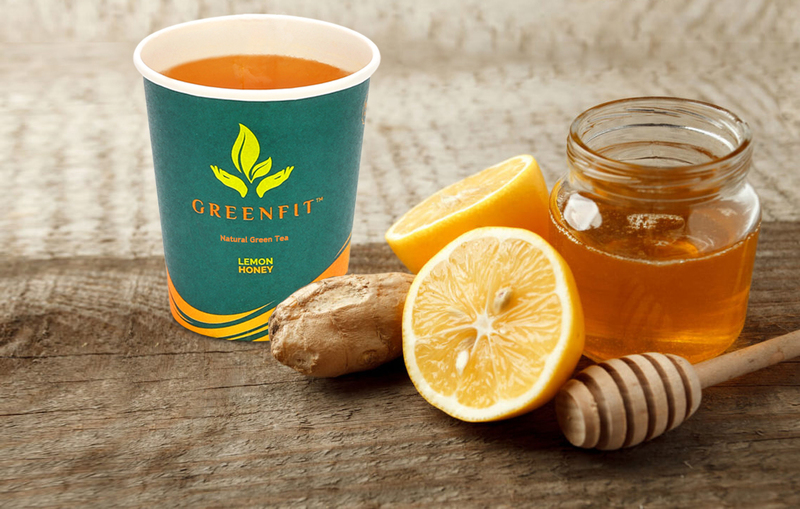 Lemon Honey Green Tea : Lemon and honey is a popular combination and a favourite among green tea lovers! The union of lemon and honey results in amazing health benefits for the body, as their nutrients compliment each other and give even better results. Lemon contains citric acid and vitamin C that fights free radicals in the body. Honey, on the other hand, has antibacterial, antiseptic and antioxidant properties. Hence, its combination works as a diuretic which means you can get rid of toxins easily through your urine. What’s even better when the two are mixed with green tea! Their blend with green tea is best for reducing fat content from the body. Lemon honey green tea brings along several health benefits. It increases peristalsis, relieves constipation, helps in detoxification of the body owing to the presence of glutathione, that also reduces signs of aging and helps to get rid of morning breath. Jasmine Green Tea : Jasmine has an impressive history and is an essential element in Chinese culture. Chinese have developed the blend of green tea with jasmine for its beautiful essence and great health benefits. For one, Jasmine tea is high in dietary fibre and protein. It is ideal for treating heart attacks and cardiovascular problems. It prevents psychological disorders, and cancer. It controls diabetes, cough and cold by fighting bacteria. It supports the digestive system, provides anti-aging properties, and also regulates circulation of the blood. Jasmine green tea is sure to leave you with a calm and positive effect and keep you stress-free! Masala Green Tea : An innovation of the authentic “Masala Chai” has been developed by GreenFit which is “Masala Green tea”. 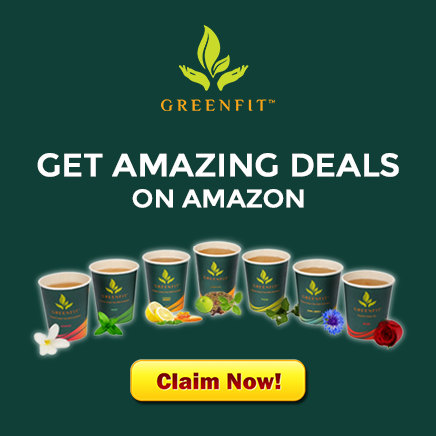 GreenFit Masala Green Tea is a great combination of Indian spices and green tea with the addition of ginger, cinnamon, cardamom, clove and black pepper to the green tea. It is not only a tasty combination but a healthy one too! The blend of five different spices has got a lot to benefit our health in a number of ways. Whether you’re looking to protect heart health and prevent disease or simply want to boost your immune system and alleviate aches and pains, masala green tea has everything packed in one! It is a great stress relieving and vitalizing tea with great benefits, aroma, and taste. It helps improve digestion, alleviate nausea, aches and pains. It support your immune system very well along with the rich antioxidants of green tea leaves. These flavours helps and improves your body and leads you to a healthy living. So this season lets cheers a cup of green tea with our family and friends to good health. Be Fit GreenFit!